ICA officers at Tuas checkpoint found six live tarantulas, kept individually in containers in a sling bag! 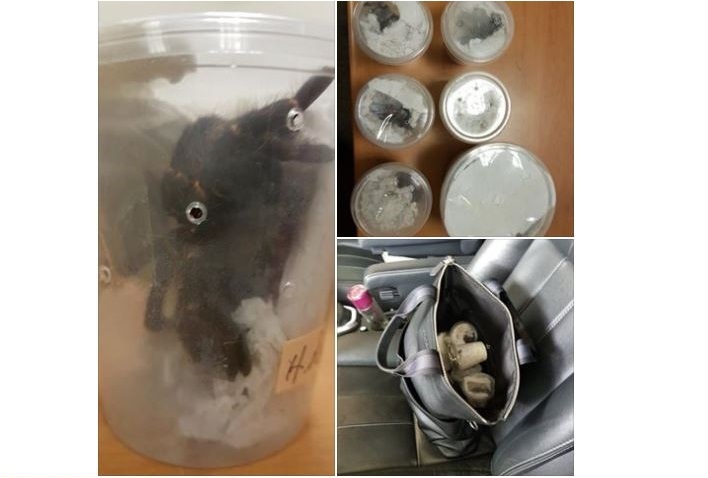 You are at:Home»Featured»ICA officers at Tuas checkpoint found six live tarantulas, kept individually in containers in a sling bag! On 4 Jan, ICA officers at Tuas checkpoint found six live tarantulas, kept individually in containers in a sling bag. The bag was placed on the rear passenger seat of an arriving Singapore-registered car, driven by a lone 33-year-old Singaporean man. The case was referred to the Agri-Food & Veterinary Authority of Singapore (AVA) for investigations. AVA conducted follow-up checks and seized an additional 92 tarantulas. Tarantulas are not approved to be kept as pets in Singapore. ICA and AVA would like to remind travellers against bringing live animals, birds and insects into Singapore without a proper permit. Previous ArticleLATEST FASHION TREND. WOMAN WITH RAINBOW ARMPIT HAIR!